Collaborative efforts pay off for arts organizations that band together with similar goals of marketing their respective art entities and cultural tourism as well as generally promoting the arts. Renewed efforts in Central Oregon are creating a myriad of new organizations that have emerged through the vision of the region’s arts leaders. The economic vitality of our arts communities is only beginning to become apparent to the general public. Yet Bend’s creative economy [currently] supports 160 plus jobs, generates $16 million per year in local spending and provides nearly two million cultural experiences per year. The Arts & Culture Alliance (ACA) realizes the impact the arts have on Central Oregon and the economy and was formed to create collaboration and networking opportunities for local arts and cultural organizations. Their shared purpose in working together to promote the arts and supporting each other is establishing a collective voice for the arts. ScaleHouse has been percolating in our community over the couple of years to create an arts and culture space that would harness our creativity through educational programs, workshops and exhibits. Spearheaded by the ever inventive Pat Clark of Atelier 6000 the arts center, named ScaleHouse, would be a catalyst for expanding and engaging our community into the inspiring world of art. The Arts, Beautification and Culture Commission was created by the Bend City Council in January 2002 to make recommendations on the appropriate role for the City to take in supporting art, beautification and culture, to annually identify appropriate City involvement in arts, community beautification and culture with emphasis on community gatherings, events, cultural tourism and the arts. The volunteer group has been instrumental in creating art exhibits at city hall and providing awards enhancing the arts and beautification in Bend. A recent voter approved measure to create a public fund for the arts in Bend is now in the formation process with numerous arts organizations providing input into the nearly $200,000 annually that will provide a granting program dedicated to promoting arts and cultural programs that will enhance Bend’s tourism economy. 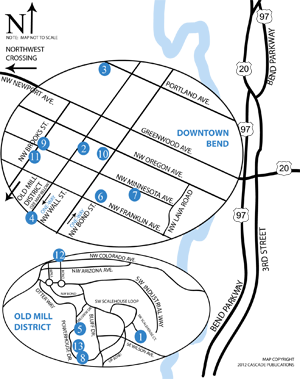 The Bend Cultural Tourism Fund (BCTF) is a grant program that will allow local arts groups to expand their scope and market their projects and programs to visitors to the City of Bend. Redmond is finding a great appreciation for art and culture and is playing a role in the city’s revitalization. Redmond’s foray into public art began with two very generous donations to the City of Redmond from Nike’s founder, Phil Knight and his wife Penny. Their contribution set in motion the creation of two art-focused groups, the Redmond Art Commission and Redmond Commission for Art in Public Places (RCAPP). 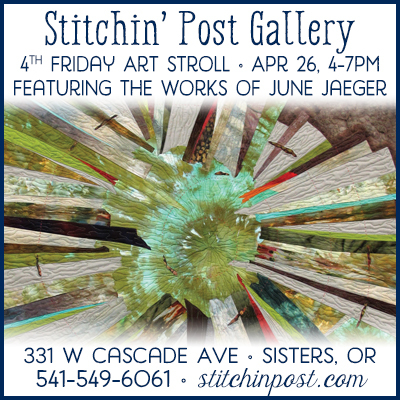 The high plains and long horizons of Central Oregon have inspired creative expression for centuries. With that vision in mind the Art Adventure Gallery in Madras was created to capture the breadth and character of these works and bring them to residents and visitors of Central Oregon. All of these ideas and more are creating an incredible vision for arts in our communities. Enhancing our creative world and tapping our economic potential requires teamwork, partnerships and collaboration but the outcome will only be as good as the agreements between the artists, organizations, local businesses, philanthropists and volunteers who help make it happen. 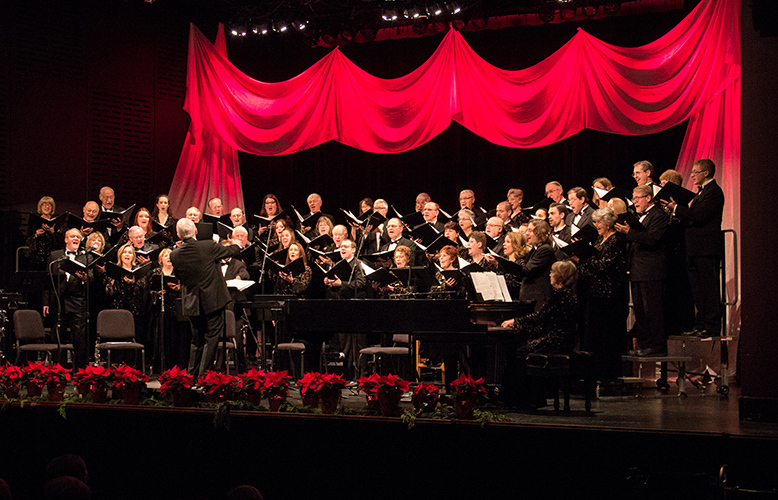 Tower Theatre Foundation Presents: Central Oregon Mastersingers performing Gloria!